Your days of longing for a way to ditch the junk are over! 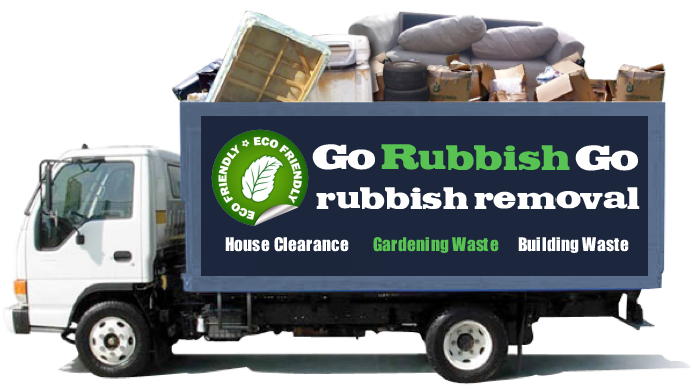 With Go Rubbish Go here to help, your household and garden waste can be a thing of the past faster than you think. 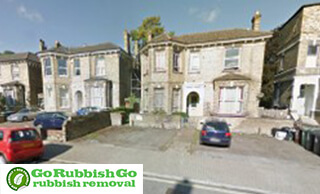 We offer rubbish removal Anerley and have a team waiting to help you with your waste disposal as we speak. You no longer have to wait days for your next rubbish round from the council and you don’t have to give up your precious time to take your waste to the tip. Instead all you have to do is call us on 020 8610 9182 for your free quote, and check our availability. Then we will come to you, remove your rubbish and restore order, it really couldn’t be easier. Affordability: it’s a word that’s high on everyone’s list of priorities today, and we completely understand why. With so many everyday things increasing in price the last thing you want to do is spend even more money on boring things like rubbish removal. The trouble is sometimes things like Anerley rubbish clearance are necessary, so what to do then? Well we recommend coming to an affordable service that won’t break the bank. 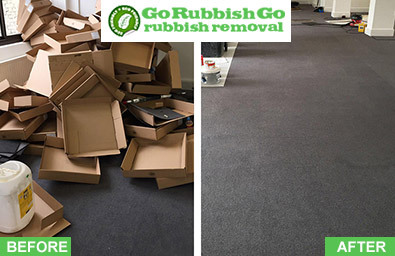 At Go Rubbish Go we have a range of packages designed to suit every budget, so no matter how much of how little you want to spend, we can help. Save your pennies for more interesting things, and book the best value waste disposal in SE20, Anerley by calling 020 8610 9182 to book now. With so many SE20 waste clearance available in it can be hard to decide on the right team for you. After all they all seem to offer a similar service, so what makes us better than any other company in Anerley? 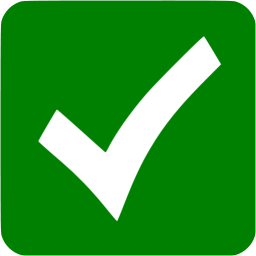 Of course we offer an outstanding Anerley waste collection service– that is just what we do. But what really sets us apart is our customer service and commitment to offering the best possible experience to every customer. We treat each customer as an individual because that’s what they are. So if you want a service offered by a professional team, with reliable service, and affordable prices, that is designed around you and your needs, there is only one place to go. Excellent service from the entire team; really helpful booking staff, made sure I got an appointment at a time and day that suited me, and told me about all the offers and discounts I could get, so it was cheaper than expected. The actual team were really efficient and friendly, and clearly knew their stuff. Would definitely recommend these guys if you need a waste clearance service in Anerley SE20, can’t compliment them highly enough. The last thing you want if you have waste to be cleared is wait around for days for the rubbish removal service to turn up. Luckily for SE20, there’s no need to wait when you choose us. We offer a fast and reliable same day service, so even when you find yourself with unexpected waste, or you choose to do some spur of the moment spring cleaning, you won’t have to worry about what to do with your rubbish. 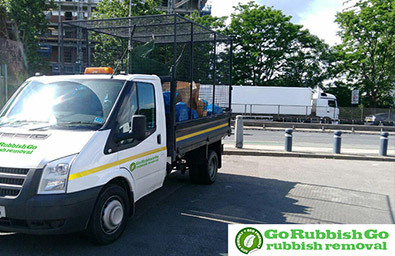 Our rubbish disposal SE20 team can be there at a time to suit you. Just get in touch with our team and book now on 020 8610 9182, and we will be happy to help. Whenever we choose to hire a professional service, we do it for one main reason: because we want to make our lives easier, and having someone else deal with the things you don’t have the time or interest in doing is a great way to save time. So whether you’re hiring a plumber, painter or rubbish removal service, you want a team that’s going to make your life easy, and that’s exactly what we can offer as the premium waste removal in Anerley. We have the skills, tools and knowledge to make sure that your rubbish is collected quickly, safely and cheaply. We guarantee we’ll be in and out before you know it. Awash with history and intrigue, Anerley is an area in the south of London, and part of the Borough of Bromley. In the past the area was famous for its beautiful gardens, but unfortunately these were closed due to a new development in Crystal Palace. Anerley is a close neighbour of Crystal Palace, and actually used to be the site of The Crystal Palace after which its neighbour is named. Its location makes it simple to watch the football team at Selhurst Park, or if shopping’s more your thing you’ve got Croydon nearby with its excellent shopping district. The area is served by its own rail station – Anerley railway station, and a tram line, as well as excellent bus routes and easy access by car, making it the perfect commuter destination.